Venture Into Exciting New Territory! Don’t go silent on your life. Its what tends to happen when you are in a position where you know things are wrong but you don’t quite know how to turn them right without upsetting the natural order. After all, changing could require leaving what you have. Speaking up could mean you have to start from scratch. I once stood up for myself in a very toxic job a decade ago. It was a big move on my behalf. I thought I was finally doing the right thing and pulling myself out of a place of victimization. Instead, I had gone silent for so long that by the time I spoke up I was implicated in the mess. I was shocked. But then I realized: I had gone silent. I made this mess for myself. And soon, I had to leave. None of it was fun. When you don’t speak up, you silently agree to things that you likely don’t really agree with. And soon, change becomes much scarier. 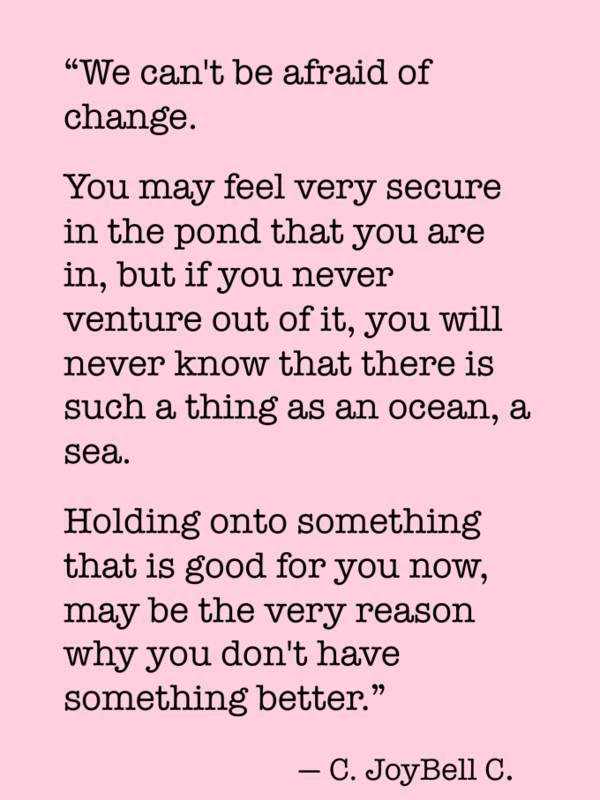 Instead of being pushed into change…. dive into change. If you know that what you are doing right now is not right, challenge yourself to do something right. Dare yourself to speak up. Don’t be too afraid to lose. Sometimes things need to fall apart in order to come together right. HERE are some fun and powerful tips to become more self-expressed. And HERE is a very important bit of science on the fear of success. A little bit of extra encouragement to send you on your way. Previous post: Do You Have Space In Your Life For The Things You Love ? Next post: Five Ways To Have A Completely Magical Life Today!